Through age, lack of care, or an accident – most or all of your teeth	can be seriously damaged or lost altogether. That’s where our team	of accomplished denture professionals can help you. We are able to provide	you with a set of complete dentures in order to give you the full functionality	of teeth again. When you trust our staff here at Market Mall Denture Clinic with your complete	denture set, you are receiving experienced care. 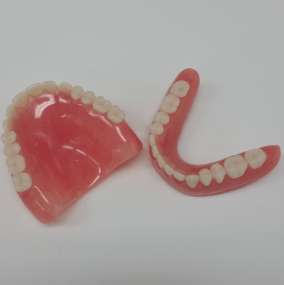 We have an on-site lab	to make sure your dentures come out right and are comfortable and functional. Learn more by	calling our Calgary denture clinic today at (403) 247-6222!